The two certainties in life are said to be death and taxes. Sadly the first is unavoidable but some of the second can be returned back to you. 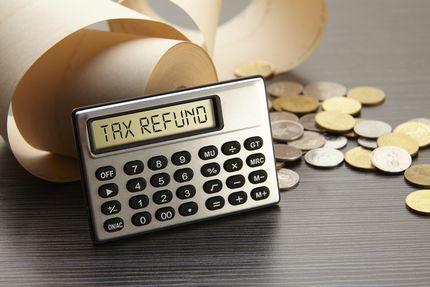 This article will explain how to get one and introduces an easy to use free tax refund calculator to estimate what you can claim back. In the UK it is set at a starting rate of 10%, then rises to a basic rate of 20%. Higher rate payers are at 40%. Thresholds can be found at the HM Revenue and Customs website. Each person has a personnel allowance. For example in the financial year of 2018 to 2019 the personnel allowance is at least £11,500 (more for older people). It is possible to reduce your annual bill even further by getting a rebate for legitimate expenses like professional subscriptions to a trade union, protective clothing and uniforms needed for your job but not provided by an employer or car mileage and other transport or travelling costs. It is possible to work out this yourself using your pay slips, bank statements, P60 forms and a bit of knowledge. But you could miss a refund that you are entitled too. The survey will only take about 60 seconds to complete and will give you a rough idea of how much you could be entitled to claim back from the Inland Revenue (now HM Revenue and Customs). There is no obligation to continue to use the services of Refunds Direct after you have used their tool but people who go on to use their stress free and easy to use services have claimed on average £650. These sums of money have been paid back to employees and those no longer working but have paid in the past six years. HM Revenue and Customs will not always be able to tell you about what you can claim. This is your responsibility but with a little help it can easily be calculated. As part of the tool you will need to answer several questions such as your part time and full time work in the current year, whether you have worked here or abroad or if you use a car for business miles and never been paid for this mileage or only been part reimbursed for your expenses. Information is kept confidential though you will be asked your date of birth, number of children, job title, employment status, the number of hours you work, an agent code if you have one, your gender and annual income. At this stage there is no need to enter your name, address or telephone number. At a click of a button you will be told if you are due a rebate. It is highly probable that you are due one if you have not worked for all of a full year, if you paid it and your earnings were below your personnel allowances or if the wrong code was used. They can then take things one step further by sending you a free claim pack which will help you get refunds dating back to six years. This can be a sizeable sum of money due to you and they will help you get as much back as possible on a no win no fee basis. When you get it you simply pay a small percentage to them in return for their expertise help. It is estimated the one in three adults are entitled to one but over £4 Billion goes unclaimed each year. This is money that many British workers are honestly entitled too and with a bit of help can easily claim. Using the information below you can estimate it. Though we do recommend seeking expert help such as the company above who are suitable qualified in this field. There are various ways to gain one. Your first point of contact should be to visit or telephone your local HMCR office and talk about any concerns you have. For example if you have been paying emergency tax for more than a few months on your main job, perhaps because your old employer still has your P45, then they can advise you on getting your code changed to a regular code. This can often be something as simple as them sending a letter to your old workplace to chase up paperwork. This can result being repaid in your next pay packet and details will show up in your pay statement. In any communication you will need to provide your National Insurance number. If you find talking to an official daunting - please don't, they are only human! In our experience their employees and advisors are very approachable and helpful and talk in normal language! They avoid using jargon and are there to help you. If you do prefer to write then ask your employer for your local office address or find it on your P60 or any letters you may have had from them. Writing can slightly delay any claims because communication is slowed down by the need to wait for letters to reach their destination, be read and understood and then replied. Some professions and jobs will be permitted certain ones. For example nurses and care assistants can claim hosiery costs if this forms part of their uniforms. This includes tights and stockings, but not socks which are not so easy to ladder! Nurses and carers can also claim footwear such as shoes. Nurses have to attend a certain amount of study days, courses and conferences each year and can claim these costs and any necessary travel and accommodation expenses. You will need to justify any expenses you wish to claim on your self assessment return form or in writing to HM Revenue and Customs. Any proof of expenses such as receipts and invoices should also be retained. Other pages of interest include claiming back bank charges.